On Sunday, a staggering number of Americans will tune in to watch the Super Bowl. It's one of those rare, culturally binding American sporting events, a one-off affair that hauls in an audience dwarfing that of the World Series or the NBA Finals. 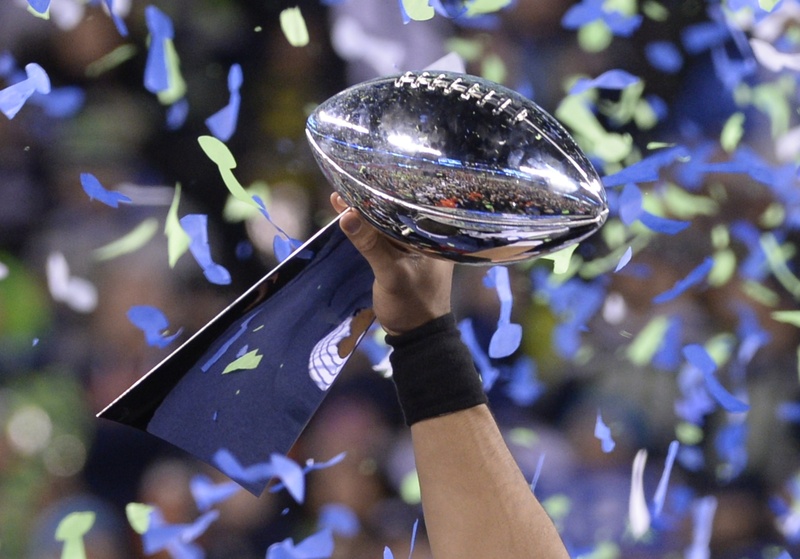 Last year, an estimated 111 million people tuned in, making it the highest-rated Super Bowl of all time. But this NFL season hasn't just been about excitement and achievement — sadly, it's also been about wrongdoing. As such, it seems apropos to wonder which Super Bowl players have faced legal troubles in the past, and whether its serious enough that we should give pause when the big game kicks off. Of course, just tabbing somebody as having been arrested is one thing, but what the arrest is for and whether they were actually convicted is pretty crucial. If the NFL proved anything this year, it's that the league's own internal priorities seem wildly ill-conceived — remember when they gave Ray Rice a lighter suspension than they did a receiver who flunked a marijuana test? Basically, it's important in this sort of situation to be able to tell genuine wrongdoing from that which falls short of it. And a quick glance at the arrest records of some of this year's Super Bowl players reflects that divide pretty well. New England Patriots cornerback Alfonzo Dennard had a tumultuous year in 2013. First, he was convicted on a felony charge of assaulting a police officer, relating to an incident in February. Then, in July, he was arrested on suspicions of DUI, also a violation of the terms of his probation. He ended up serving 36 days in prison in early 2014, clearing the way for him to return to the playing field. He won't actually be on the field during Super Bowl XLIX — he's currently on the team's injured/reserve roster, the result of a hamstring injury. Yes, yes, "Blount" is pronounced exactly like you're hoping. A member of the New England Patriots in 2013, Blount signed a two-year contract with their AFC rivals the Pittsburgh Steelers in 2014, but was ultimately cut from the team after he and teammate Le'Veon Bell were arrested for marijuana possession, as well as an unrelated disciplinary matter. In short order, he re-signed with the Patriots, giving them the power running game they'd lacked in his brief absence. This is exactly what I meant about parsing the serious situations from the mundane ones — however the NFL wants to view it, marijuana use in America is very common, and has been lauded by some NFL players as a useful, less-harmful means of easing pain. Back in 2012, the man popularly known as "Beast Mode" landed in some hot water — he was pulled over after being spotted driving erratically in his hometown of Oakland, California. He was arrested on suspicion of DUI, having tested for a 0.8 blood alcohol level, the maximum amount allowable by law, giving what his lawyer Ivan Golde called "a strong case for trial." But Lynch decided to forgo that ordeal, pleading guilty to a charge of reckless driving in order to put the incident behind him. Lynch ended up with a two-year probationary sentence as a result of the plea bargain, meaning it will be in effect until 2016. Tom Brady's number one option in the receiving corps, Edelman was the subject of an accusation of sexual wrongdoing early in his career. Back in 2011, on Halloween night at a Boston-area night club, a woman alleged he'd groped her, triggering an arrest and subsequent investigation. Prosecutors ultimately dropped the charges against Edelman, concluding (based in part on surveillance footage of the night in question) that they wouldn't be able to establish Edelman's guilt to a standard sufficient for conviction.